Buy Local Savannah, the Downtown Business Association, the Savannah Area Tourism Leadership Council and Savannah Waterfront Association have joined forces again this year to present the 3rd Annual Celebration of Service, a special tribute to customer service, on Thursday, June 18, 2009 at the Savannah International Trade & Convention Center. The Celebration of Service is proudly sponsored by Yates-Astro. Registration and networking for the event begin at 11:30am with the luncheon taking place from 12noon-1:30pm. This year’s event will also feature a workshop from 1-2:30pm. 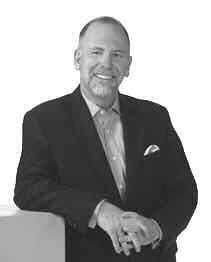 The luncheon includes a keynote address by Phillip Van Hooser, MBA, CSP, national speaker and author of 6 Secrets for Wooing, Wowing and Winning Customers and Their Loyalty. This year’s event will also offer a workshop to “Dig Deeper into the Secrets of Service Professionalism,” by Mr. Van Hooser following the luncheon. This will allow those who wish to learn more about the secrets to get some more personal time with an expert! Most importantly, Celebration of Service will also feature an awards presentation to individual(s) who have exemplified outstanding customer service at local businesses that have made a difference. For ticket information and to make reservations, please visit the TLC website, www.tourismleadershipcouncil. com, click on calendar and then go to the date of the event or call the TLC office 912-232-1223.